Journal of Interdisciplinary Literary Studies, 5.1 (1993) pp. 23-37. 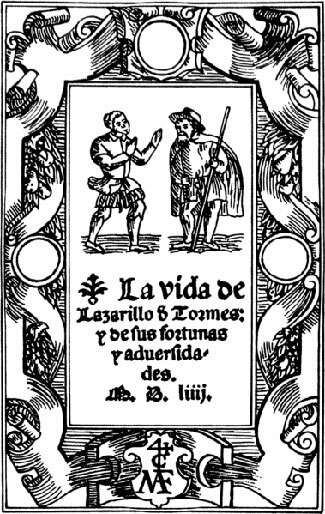 The Vida de Lazarillo de Tormes provides a fascinating case study of resistance in autobiography because of the complex nature of Lázaro’s ties to authority, and because of the treatment of those ties in the narrative. At the moment of writing, he is not only, as a pseudoautobiographer, an object of surveillance –the ominous gaze of Vuestra Merced—but he is also, as a pregonero, involved in an apparent relationship of total complicity with the powers that be. […] How is the text that Lázaro writes “an act of defiance as well as one of compliance”? (González Echevarría). To what use does Lázaro, or, more aptly, to what use does Lázaro’s anonymous creator put his borrowed pen and his ventriloquized voice?